The Danelctro HoneyTone N-10 Guitar Mini Amp cranks like a little hot rod has a great clean or overdriven sound. The HoneyTone amp also boasts a real leather handle, belt clip, headphone jack, Volume, Tone, and Overdrive controls. 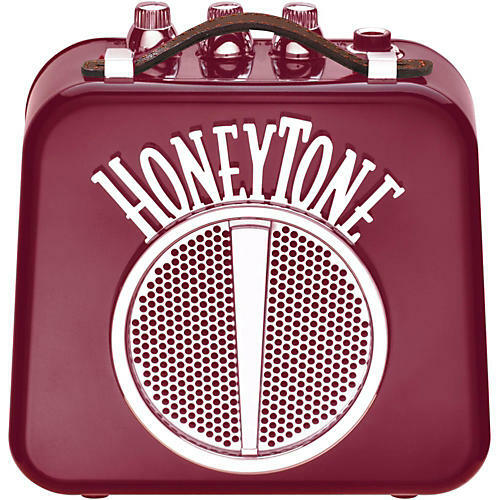 The HoneyTone N-10 amp is powered by 9-volt battery (included) or a Danelectro DA-1 adapter.